Each Kratom Kaps Indo contains 0.5mg of the rarest and purest White Vein Kratom Powder we could find. Excellent for pain, inflammation, and notably increased energy and mental clarity. Purchase in 20g or 50g packages. Buy Indo Kratom already capsulized for convenience. Kratom Kaps Indo is derived from the white veins of the mitragyna speciosa leaves found primarily in the rainforests of Indonesia. One of the rarest strains, Kratom Kaps Indo uses only the best white vein kratom found in the region to create a powerful energizing blend. White Vein Indonesian is unique in it’s alkaloid content and has notably smoother effects than traditional red or green strains. Kratom Kaps Indo provides ample energy without any negative side effects, such as jitters or irritability. Something to note is that high quality Indo strains cause significantly less side effects. This means less nausea and wobbles compared to other strains. Because of this, users report a mellower feeling overall. Each Kratom Kaps Indo contains .5mg of the finest white vein kratom conveniently weighed and placed into a capsule for you. 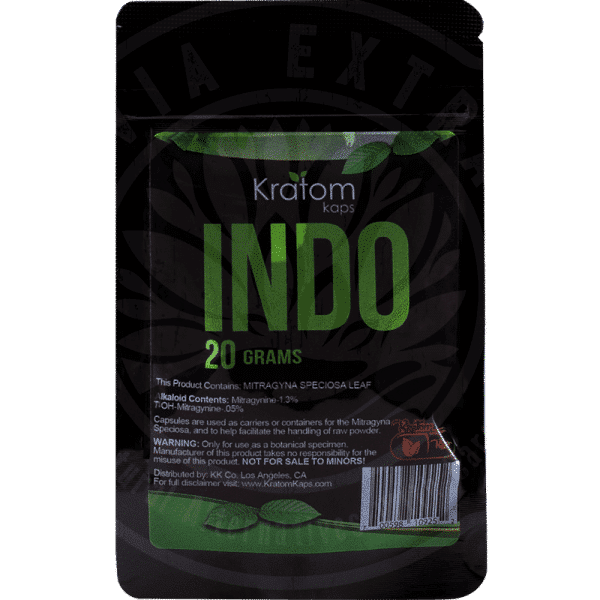 In comparison to red or green strains, Kratom Kaps Indo has a very unique set of alkaloids which make it one of the most desired strains. The alkaloids found in Indonesian kratom cause much longer lasting effects. White Vein Indo is known to have an increased alkaloid content with more than 25 naturally occurring chemical compounds found. One of the most prevalent alkaloids in Kratom Kaps Indo is 7-Hydroxymitragynine. This is typically found in higher quantities within the Indo version of white vein than any other strain. As a white vein leaf, users can also expect an increased percentage of Mitragynine to be present. Both of these alkaloids are primarily reported to act as potent analgesics. Mitragynine also has adrenergic receptor agonist qualities. Start small with one to two capsules orally to start, then work your way up until desired effects are achieved. Every individual is different, and dosing should be tailored to the user. Thank you for shopping with SalviaExtract Kratom, and please remember us for all your kratom needs! For more tips about using Kratom, check our Kratom Wiki Page and Kratom Beginner’s Guide. Kratom United States Legal Map: Find out whether its legal in your state. Disclaimer**All statements about mitragyna speciosa have not been approved by the Food and Drug Administration. Kratom has not been proven as an effective cure for any disease or illness. ** This product is not not intended to diagnose, treat, cure, or prevent any disease or condition. Salviaextract is in compliance with all Good Manufacturing Standards set in place by the FDA. Works perfect for opiate withdrawals and I mean major withdrawals. I was using alot opium daily $200 daily. This has saved my life I’m glad I came across kratom. Trust me it rocks!! Forgot to mention works perfect for major pain!!! How did you take it for opiate withdrawals? Did you stop opiates and start that or gradually go into? How many pills a day? It depends on how high your dose was already. I’d say that if you are already taking opiates, a good place to start would be 4-6 grams worth of kratom for a 180 pound person. However, even if you have a tolerance to opiates, it may cause nausea because kratom’s alkaloids behave differently from traditional opiates. If you feel nausea try to just gradually go into it over the course of a week or two, half a gram at a time. If you feel very significant euphoria, try and lower the dose half a gram. You might find that the effects seem to have worn off after a certain period of time, but as long as you are not feeling sick, try your best to not redose. This totally depends on how willing you are to endure feeling sober. You may feel relief from symptoms without euphoria, however you should not redose if this is the case, as you may experience nausea. After 4-8 hours, depending on how you are feeling, redose. Every week or two, lower your dose by half a gram. by the time you reach 2-3 grams, lower it every three weeks. Do your best to try not to use it recreationally, as it can be used as such and it will ruin the process. At one gram, you can go “cold turkey” if you feel ok. This is the process swim used to get off a habit of 40mg of oxycodone a day and it was hard, but it was worth it. Helps with my pain and inflammation due to arthritis. Also gives me a positive mental outlook. I only take one capsule per morning. Consistent quality. I need it for severe back pain, is there also a kind far sleep? 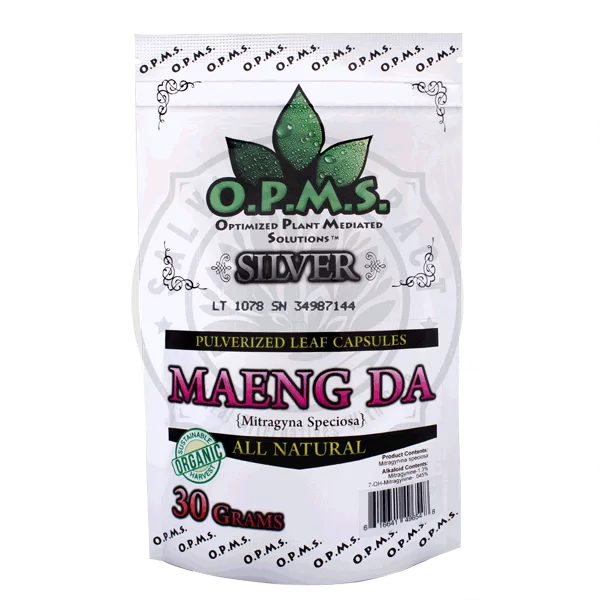 Maeng Da is the strain for late night use. I am taking the indo kaps, 50 grams. How many do I need to deal with restless leg. Everything I see on line suggest no more than 7 grams. It depends on your method of ingestion. Pills have to dissolve versus powder takes less time and acts more quickly. Each Pill contains 0.5 grams we suggest starting with 8 to 10 Pills, its in line with what is suggested and what you’ve read online. Product is awesome, I have had back surgery twice and suffer from restless legs, I take it once at night and wake up feeling great. It has allowed me to stop taking any other meds. Mitragyna Speciosa, also known as Kratom, is a deciduous plant native to Southeast Asia that is closely related to the coffee plant. It has been used by the natives for many decades as a natural pain killer, anti-diarrheal and to enhance energy and cognitive effects. This plant was first formally described by the Dutch colonial botanist Pieter Korthals. Kratom trees grow to a height between 40 and 100 feet and can be either evergreen or deciduous depending upon the climate and environment in which it is grown. Many people report that kratom is an effective treatment for arthritis, restless legs syndrome (RLS), and fibromyalgia. What makes Kratom so unique in its health benefits? Kratom contains several active alkaloids, of which mitragynine is believed to be responsible for most of its effects. Mitragynine is an opioid agonist, meaning that it has an affinity for the opioid receptors in your brain. These receptors influence one’s mood and anxiety. What are the benefits of taking Kratom? Pain Relief– One of the most notable uses for mitragyna speciosa is natural pain relief without the negative side effects of narcotic pain relievers. By increasing the amount of serotonin and dopamine that is released into the body, pain can be alleviated and controlled. Essentially, the alkaloids dull the pain receptors throughout the body. 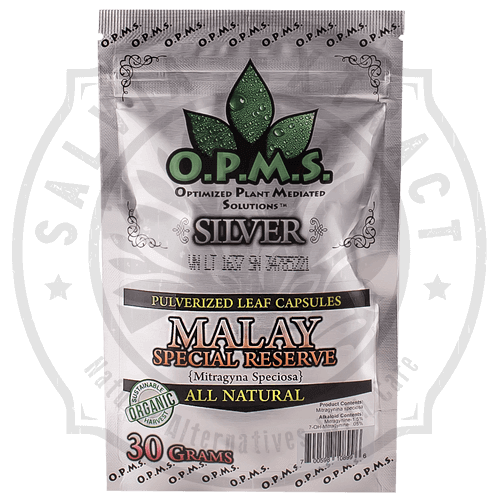 This morphine or opium-like quality of kratom leaves is widely regarded as its most important application. Increases Energy– Kratom is closely related to the coffee plant and works like a stimulant to naturally boost energy without the jitters of caffeine. Mitragyna Speciosa increases energy levels by optimizing certain metabolic processes and impacting hormone levels. This is a result of increased circulation and a general increase in oxygenated blood to areas of the body that needs it, combining with increased metabolic activities to provide a burst of energy. For sufferers of Chronic Fatigue Syndrome kratom leaves are often an alternative, natural solution. Anti-Anxiety and Natural Antidepressant– Kratom leaves are widely used as an anxiolytic (anti-anxiety) for people who suffer from chronic stress, depression, anxiety, and mood swings by regulating the body’s normal hormones. Increases Sexual Desire and Energy– Kratom has been reported among users to enhance sexual desires in both men and women. Lowers Blood Pressure– Studies have connected the use of kratom leaves to a significant drop in blood pressure. As the leaves and their chemical components impact the body’s hormones, they also reduce inflammation throughout the body, including in the blood vessels and arteries. By relieving tension in the cardiovascular system, kratom leaves can help prevent more serious cardiovascular conditions, such as atherosclerosis, heart attacks, and strokes. Regulates Blood Sugar– One of the lesser known benefits of kratom leaves is their natural effect on blood sugar levels. Limited research has shown that the alkaloids found in the leaves are able to help regulate the amount of insulin and glucose is in the blood, effectively preventing the dangerous peaks and valleys that diabetics endure. Addiction Therapy– Mitragyna Speciosa has a unique role to play in aiding those who suffer from addiction by eliminating or lowering withdrawal symptoms. For hundreds of years Kratom has been used by the indigenous people to relieve symptoms of narcotic and opiate withdrawals and alcoholism. In effect, it works very similarly to opium (and is often used as a substitute for this drug) at a lower level of potency and addictiveness. Many people suffering from opium dependence are treated successfully with this herbal product supplement. How do I take Kratom? There are numerous ways to ingest kratom depending upon the desire and tolerance of the user. Kratom can be made into a tea or mixed with juice or other liquid and then drank. Toss & Swish is also very popular among users because it enters the bloodstream quickly and without having to brew or mix it with liquids. A normal dose placed in a teaspoon; such as seen with the “Cinnamon Challenge,” is a fast and relatively easy way to consume when on the go. Kratom can also be mixed with food and ingested at a more tolerable rate due to its bitter taste and extremely dry consistency. 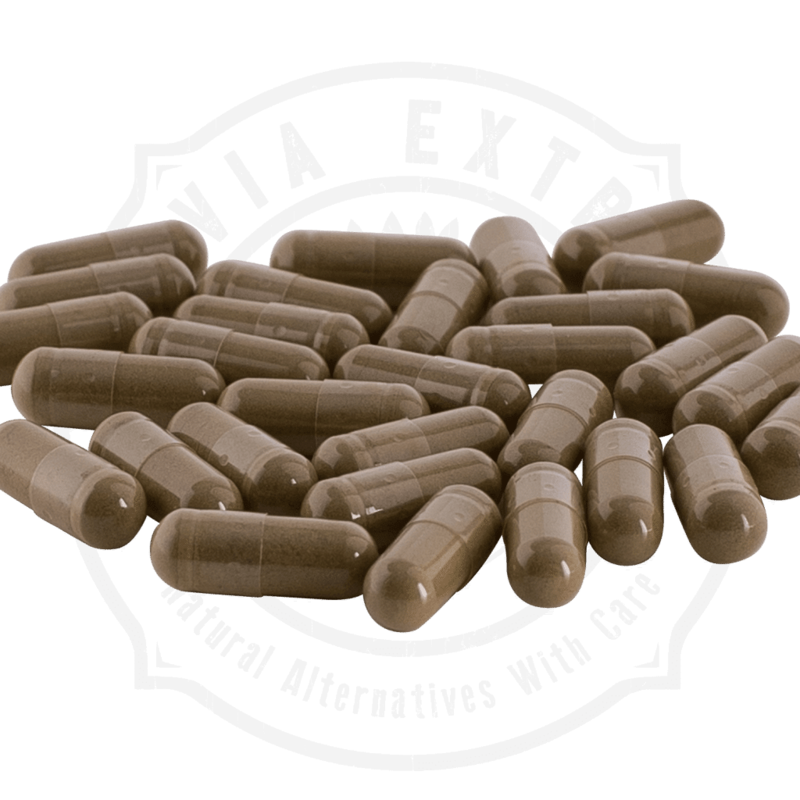 Kratom can also be filled into premade capsules and taken orally for a tasteless and easy dose. Where Can I purchase Kratom? As mitragyna speciosa has gained popularity in the Western culture, so has the ways to buy it grown exponentially. Kratom can be found online through countless websites both inside and outside of the United States. If kratom is legal in your area, then a call to the local “head shop” or counter culture store will probably yield the results you are looking for. 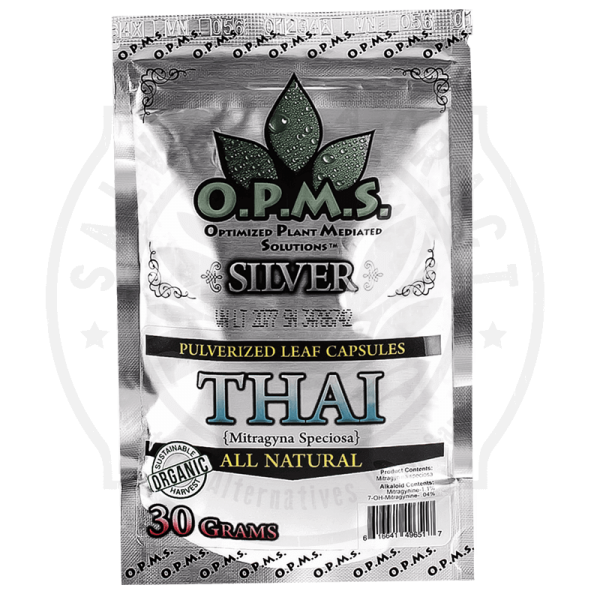 Privately owned convenient stores are now opting for selling kratom, but usually with a very limited selection. How much do I take in a typical dose? These guidelines are intended as a general starting point and should be closely monitored to ensure the proper amount. The first time you try a particular strain of kratom, pay attention to your thoughts and feelings, and keep track of how the dosage has affected you. Continue with the dose which is most beneficial and adjust as necessary. The following chart is a guideline only since each person’s tolerance level varies, as does the potency from different strains. Doses at the lower end of the range, roughly 1 to 5 grams of the leaves, are said to produce mild stimulant effects, while higher doses (5 to 15 grams) produce euphoric effects. Doses exceeding 15 grams can lead to a state of excessive sedation and stupor and are not recommended. Effects can vary in individuals, and a reaction from a low dose or high dose may not be the same in all people. As of now the FDA (Food and Drug Administration) and DEA (Drug Enforcement Agency) has signed legislature to keep kratom legal. Currently there are several states and counties which have placed bans on this herbal supplement. Although the Drug Enforcement Administration has not yet placed kratom into a drug scheduling category (drugs like marijuana, for example, are Schedule I, hydrocodone is Schedule II, etc. ), they are still considering their position based on information about kratom’s dangers. (http://americanaddictioncenters.org/kratom/dangers/) Following is a complete updated list of where kratom is banned. Alabama: As of May 10, 2016, kratom is a Schedule 1 controlled substance in Alabama. Arkansas: Kratom was added to the controlled substance list in Arkansas in February 2016. California: Kratom is legal in California, except in San Diego, because of the passing of a local ordinance. Illinois: Kratom is legal in Illinois, except in Jerseyville, and the sale of kratom to minors under the age of 18 is banned. Indiana: This is a state that defines kratom as a synthetic drug and it is banned. New Hampshire: Kratom use is legal in New Hampshire for people who are 18 and above. Tennessee: In Tennessee kratom is defined as a controlled substance and is banned. For a complete legal map see this page. Can I safely combine Kratom with my regular medications? Kratom has not been known to cause any interactions with medications; however just to be safe the user should always check with their physician before combining with other substances. Can kratom cure any diseases or illnesses? As of now, kratom has not been proven by the Food and Drug Administration to cure any illnesses. Studies are in place to determine its exact benefits. What are the differences between Strains? Kratom strains are generally divided into three different colors. Red-vein, White-vein and Green-vein. This division is dependent on the color of the stem and vein of the leaf. If you look closely at a kratom leaf you will see that the stem and vein have a certain color. This color determines the effect the kratom leaf will have on mind and body. Different color means a different effect and a different chemical composition. The stem and vein will be removed during the grinding process. Therefore, it is only the leaf which is supposed to be taken, without the stem and vein; however, some strains will display the stem and vein additive option. Red vein leaves from a trusted source are great for beginners because kratom they produce pleasant calming effects. It gives peace of mind and it gives you a feeling of well-being and optimism. In addition, red kratom is suitable as a sleep aid for people with insomnia. Physically, the red vein is known to relax the body and relieve pain. It relaxes the muscles and can be used as a supplement or replacement of pharmaceutical painkillers. The strongest red kratom extracts are used to prevent withdrawal symptoms of opiate addicts. White vein kratom is known as a stimulant and positive mood enhancer. The effect of each strain depends on numerous factors such as the quality of the product, lifestyle and tolerance level of the individual. However, the trend is that the white veins are most stimulating and euphoric of all the kratom strains. White kratom is increasingly taken instead of coffee (caffeine) for alertness, concentration and cheerfulness. Many have come to take white kratom for increased concentration, motivation and stamina during long working days. Green Vein Kratom can best be described as somewhere in between the red and white kratom strains. It is a mild energy booster that can brighten one up. Kratom connoisseurs who have experimented with it report that it helps them to enhance alertness and focus. The green vein strains are subtler than the red or white veins. In general, they can be useful in treatment of pain and other discomforts, mainly because the green veins do not cause drowsiness, which is often caused by other analgesic supplements. Which strain is best for pain? What are the side effects of taking Kratom? Even though the use of mitragyna speciosa has not been proven to cause physical dependency, its use should always be monitored closely for any sign of chemical dependency; especially if being used to wean off other narcotics or opiates. In the mind of an addict, it could be found as a replacement, and the simple action of taking it alone can cause dependency. What are the signs of kratom addiction? How can Kratom be purchased? Kratom comes in several forms including leaves for grinding on your own, or for use in brewing teas. The most popular form is powder. The leaves are ground into an extremely fine powder resembling talcum or cinnamon. Kratom can also be bought in pre-made capsules. It can be made into a resin, which the extract is more potent and smaller doses are needed. What does Maeng DA stand for? Will kratom show up in a drug test? Currently, kratom is not included in standard drug screens in the US. Kratom tests are available for screening but are not widely available.